I don’t think you realize how fast time passes by until you have kids. They grow so fast, one minute they are a newborn and the next they are two years old! Where did the time go? Can I put the next 20 years on slow motion? Can I rewind? Can I hit pause? My little baby just turned two and I am still in shock how much she grew and how smart she has become! She has developed her own little personality and knows what she wants, a little scary if you ask me. But I wouldn’t change her one little bit. 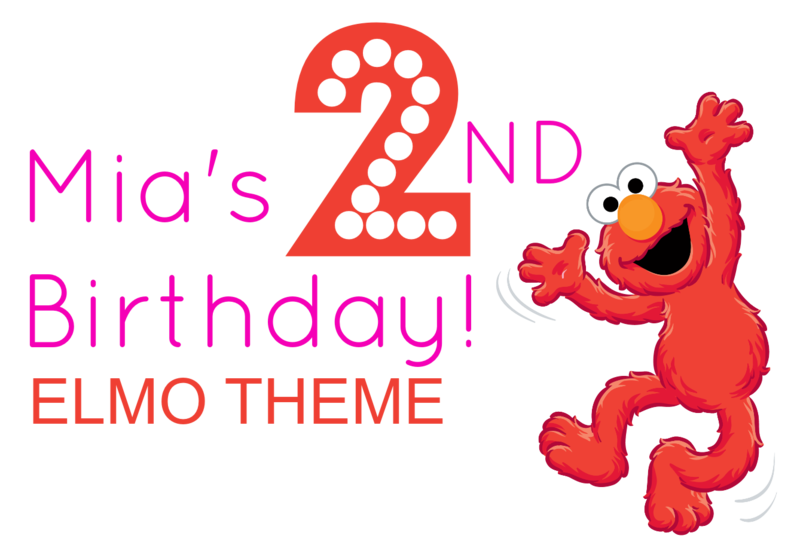 To celebrate her second birthday I decided to throw her an Elmo Themed Party. If anyone knows me, I am not into characters and “kiddie stuff”. 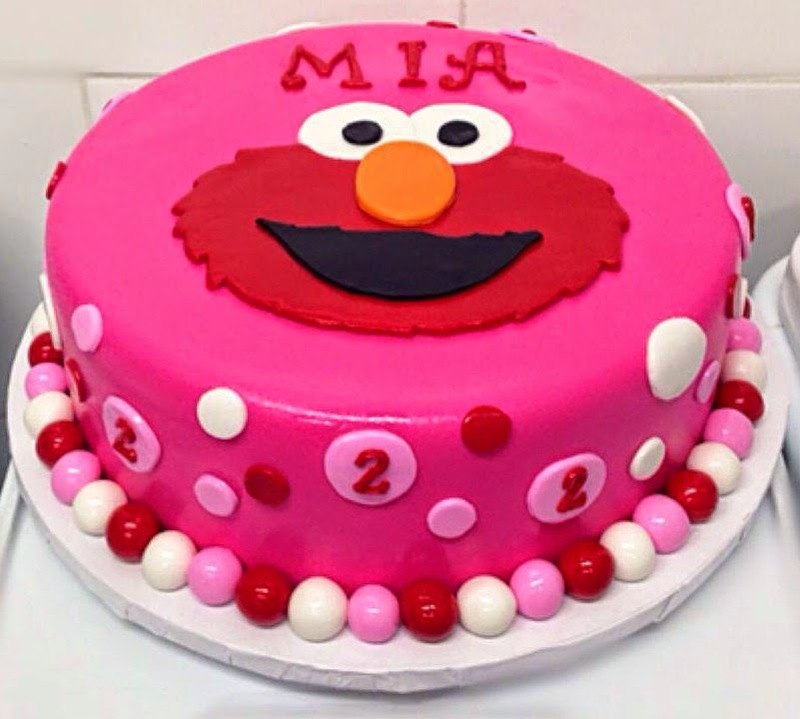 I wanted something modern and cool, but I had to wring back my taste to make my little princess happy. I know I did not want to have it at home and I wanted it to be quick…nap time calls! 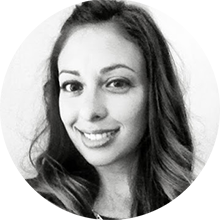 I also did not want to have to be occupied very minute of the party serving food or getting drinks and basically running around like a chicken with my head cut off. So I decided to have it at a local play place. The venue I picked was much older compared to all the other places. The reason I choose this play place was because the interior space was open. You could eat and drink in the same room as the play structures, instead of being confined in a party room. This allowed the kids to play and the parents to sit, chat and eat while still being able to see the kids. The play place had a jungle theme and the colour scheme was made up of blues, oranges and green. Not exactly ideal for red Elmo! 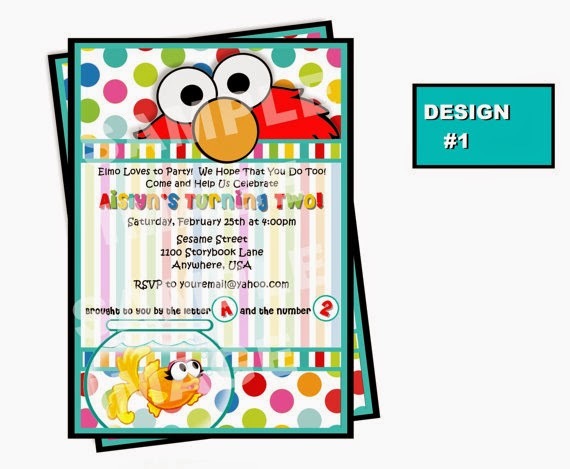 So with the interior of the play place on my mind, I started with looking for a modern Elmo invitation. I searched for weeks on Etsy to find something I liked and was debating if I should just make everything myself. I didn’t want something very girly or boyish, but unisex. Finally I came across a party set that I liked and it was pretty neutral! 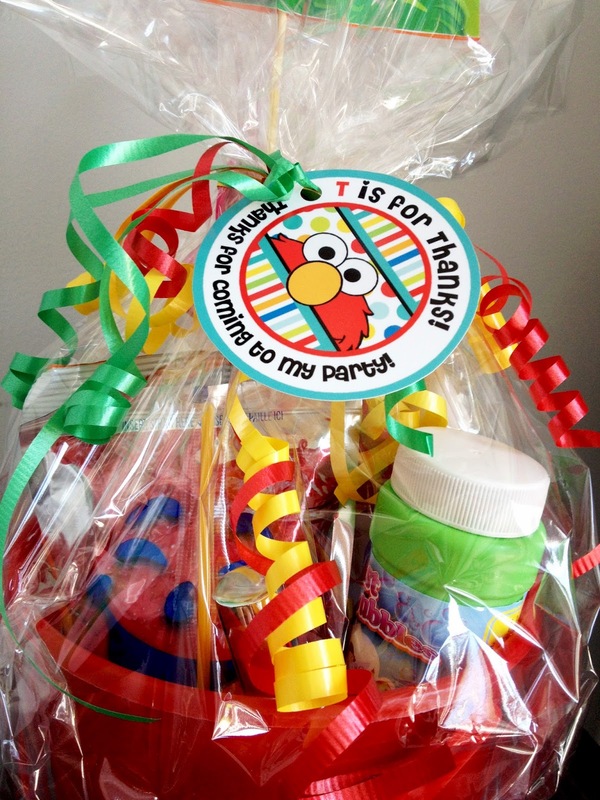 The Elmo Party Package from Storybook Lane Crafts seemed to work well with the décor of the play place and it was modern enough. 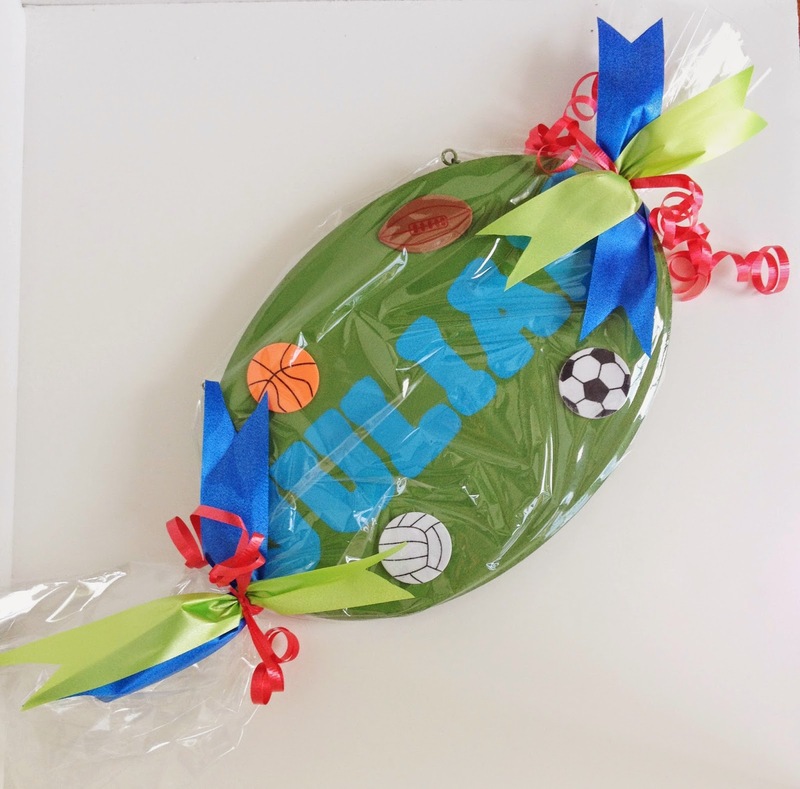 The package came with a personalized invitation, thank you note and tags, cupcake toppers/party favour tages, a personalized welcome sign, water bottle labels, treat bag toppers and blank tent card for food labels. 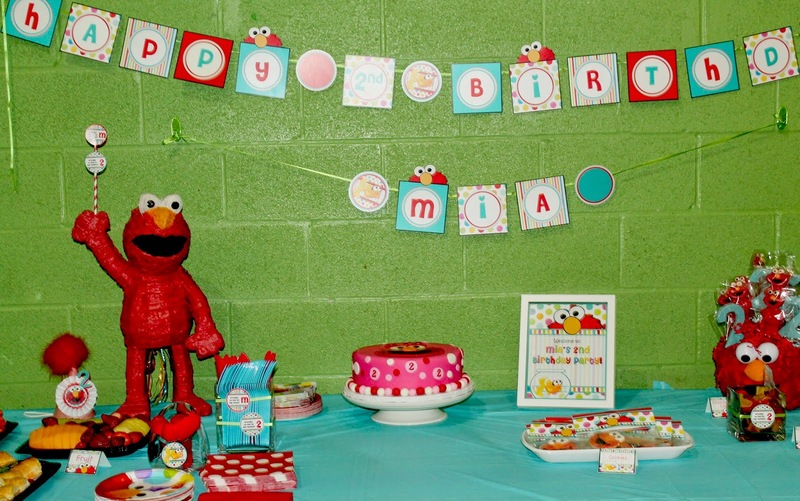 In addition to these items, I also purchased a coordinating Happy Birthday banner with the option to upgrade and add Mia’s name, which of course I did. 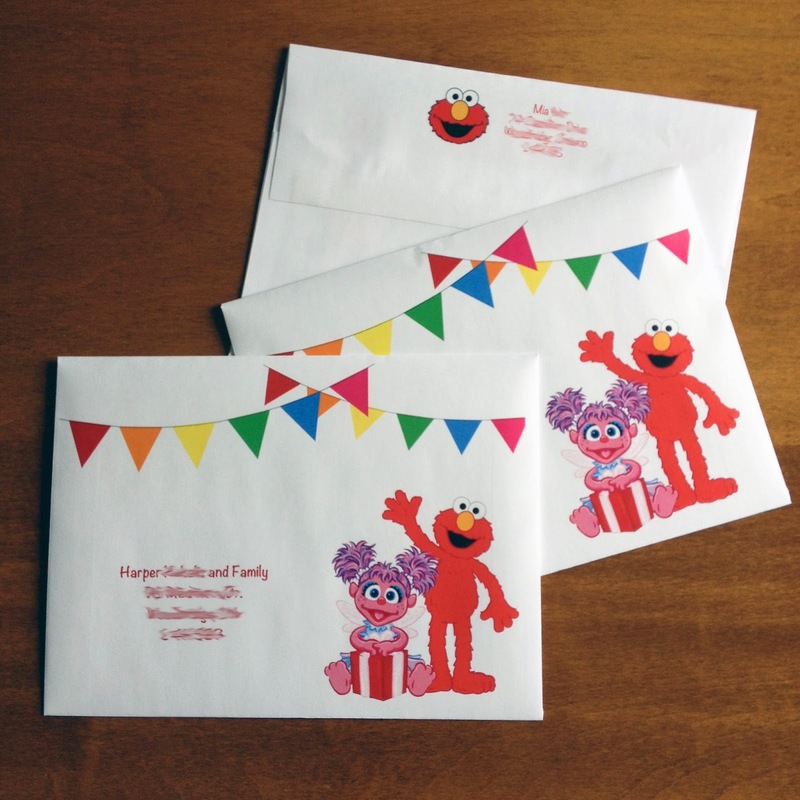 The custom envelops were created by The Styled Child Shop. Now that I had my jumping off point and all the paper goods decided on, I needed to find additional décor for the party. For the plates, napkins, glasses, and straws I went to a local party supply store. I stayed with the colours red, pink, yellow, and blue. 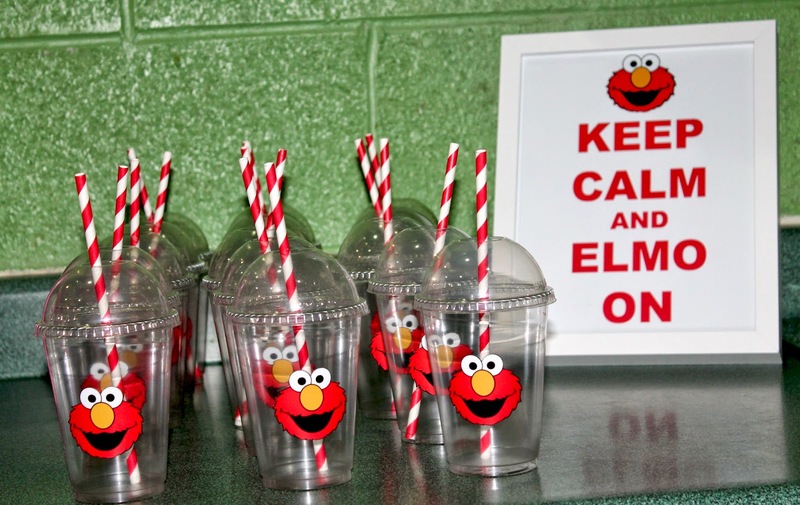 While I searching for Elmo parties on the Internet I found these adorable Elmo cups on Etsy that I NEEDED to have! But the price was steep especially when you included shipping to Canada. So I said I would just make them myself! 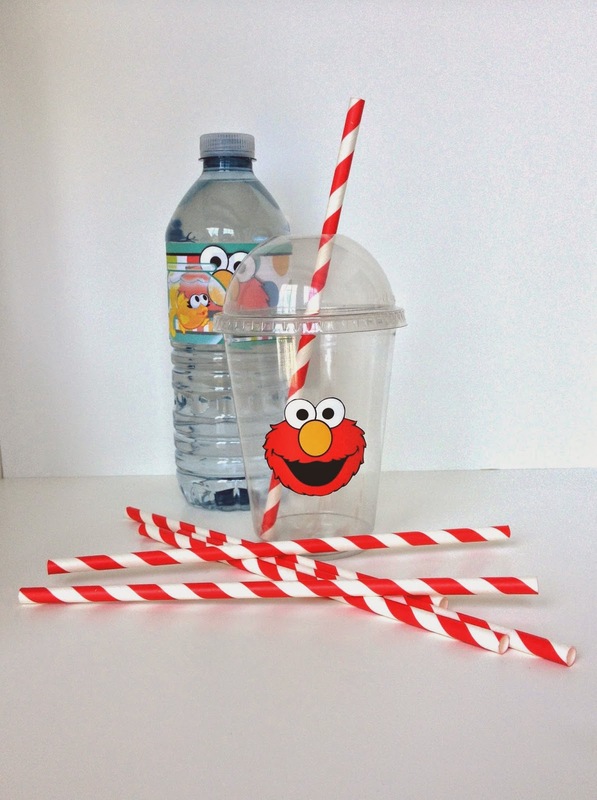 Thanks to a family friend, who gave me the glasses and lids and I designed an Elmo face on the computer and got it printed on vinyl stickers. 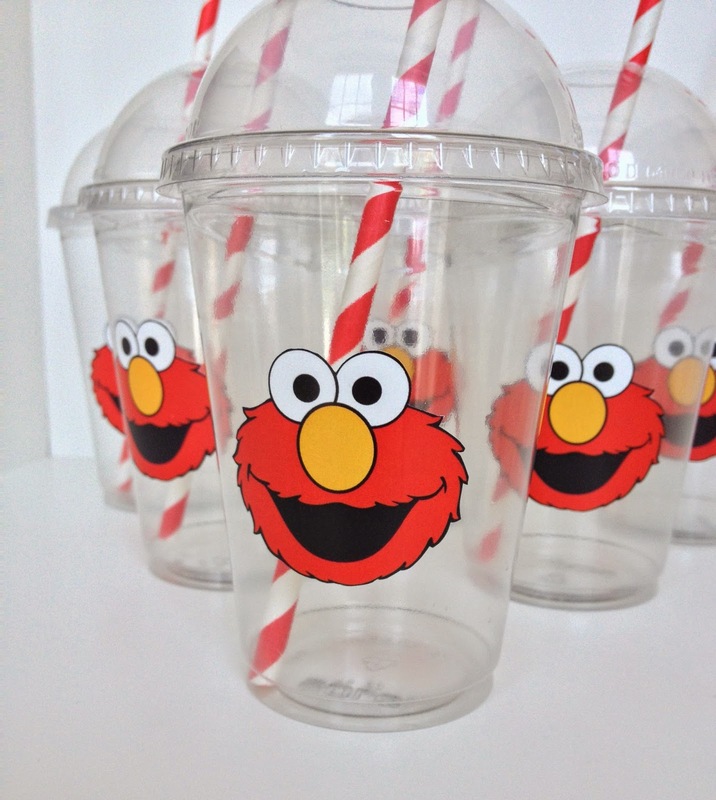 I then stuck the stickers to the glass and got my red and white straws to put in the glasses. 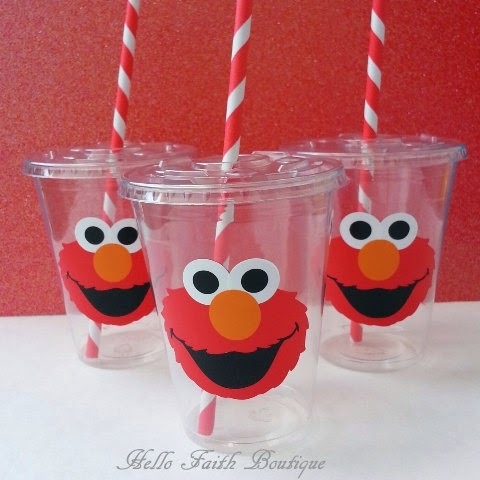 The glasses were perfect for the small kids as they contained all the liquids with no spills. have sign! 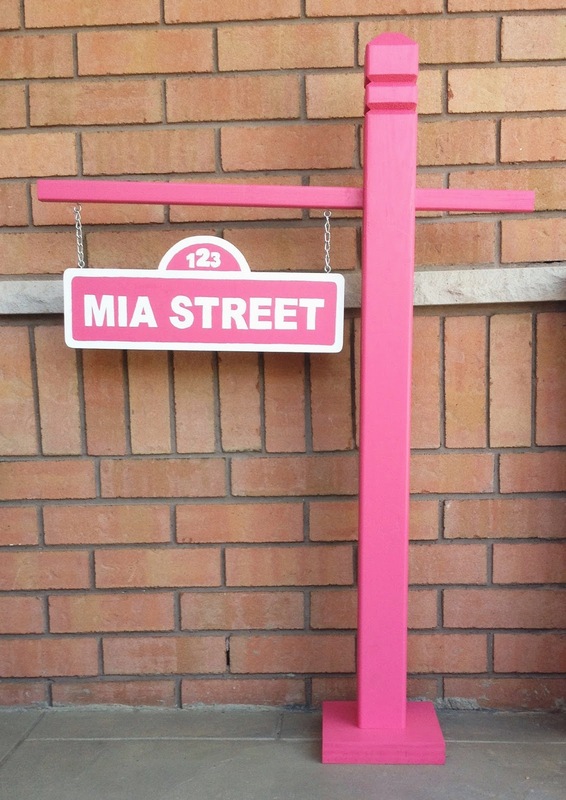 The Mia Street Sign! 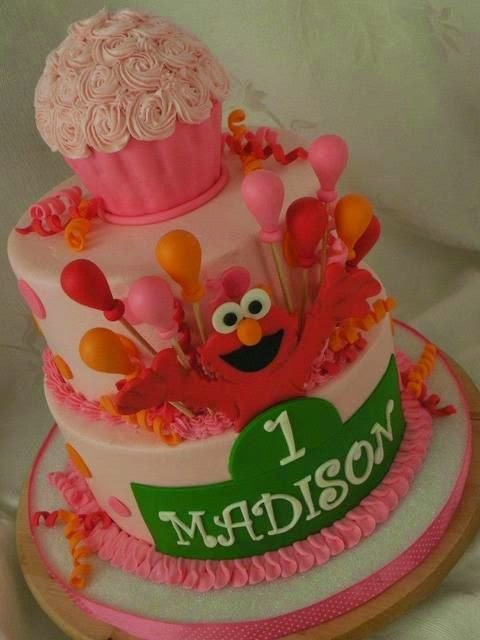 A spin off of the Sesame Street sign, damn you Pinterest! So here came another DIY. I went to my local hardware store and picked up some wood, paint, and chain. The hubby and I whipped it up and I painted it. There a so many DIY’s on the Internet about how to make the sign, I searched a couple for information in order to create mine. 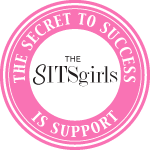 Perhaps I will do a DIY post in the future on the blog. The sign was put at the doorway of the play place. 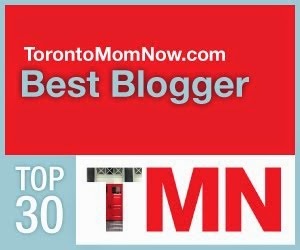 My favourite was this one that I found on Inspired ByMichelle Blog. It was cute and simple and it was a bit more on the modern girly side. 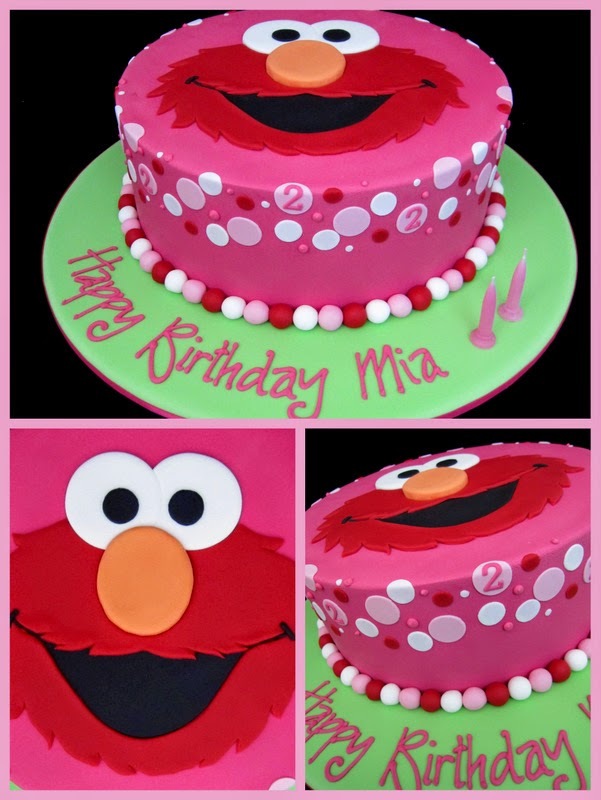 I was lucky enough to have Call Me Cupcake whip up this amazing cake. Not only did it meet my high standards but also it was delicious. My daughter who loves to talk about cake but does not like to eat it had a pretty big slice! Since we were talking cake, lets talk food and treats! First the boring stuff. For the food I ordered croissants filled with cold cuts, egg salad and tuna and pizza. I also ordered a veggie and fruit tray. The party began at 10:30am and ended at 12:30pm, the croissants and fruit were more breakfast like items and the pizza and veggies, more lunch related. We also had water, juices and coffee for the guests. On the table with the food and cake, I also put two different candies for the kids and of course goldfish crackers representing Dorothy, Elmo’s pet fish. 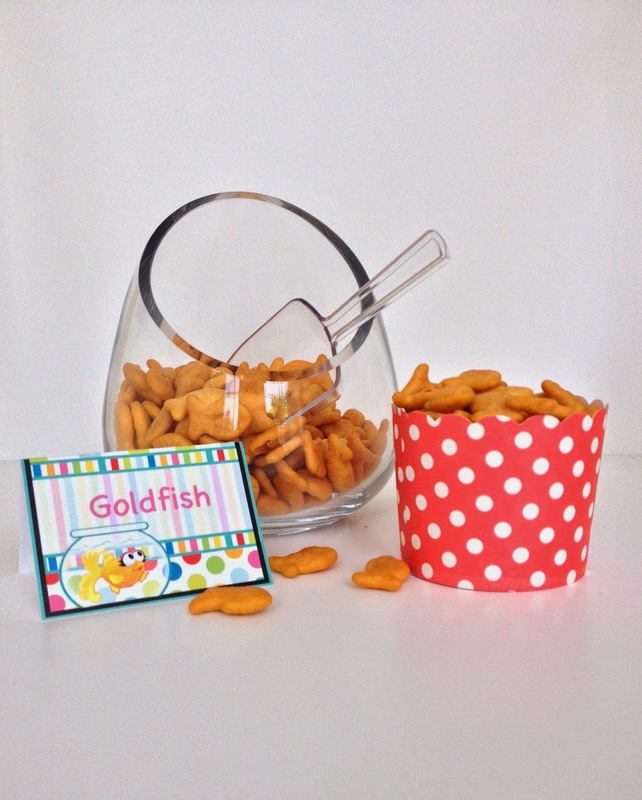 We used little cupcake liners for cups for the kids to put the candies and fish in. 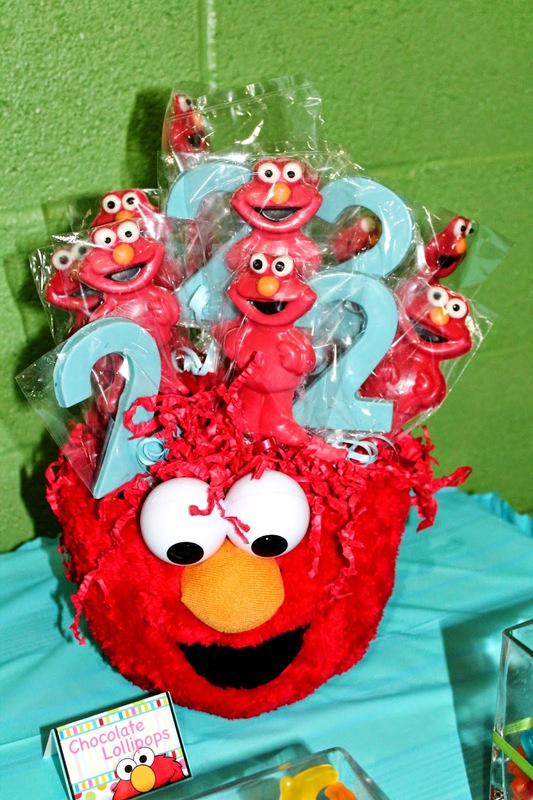 To add more Elmo décor to the table we had Elmo sugar cookies and had Elmo and the Number “2” made out of chocolate. 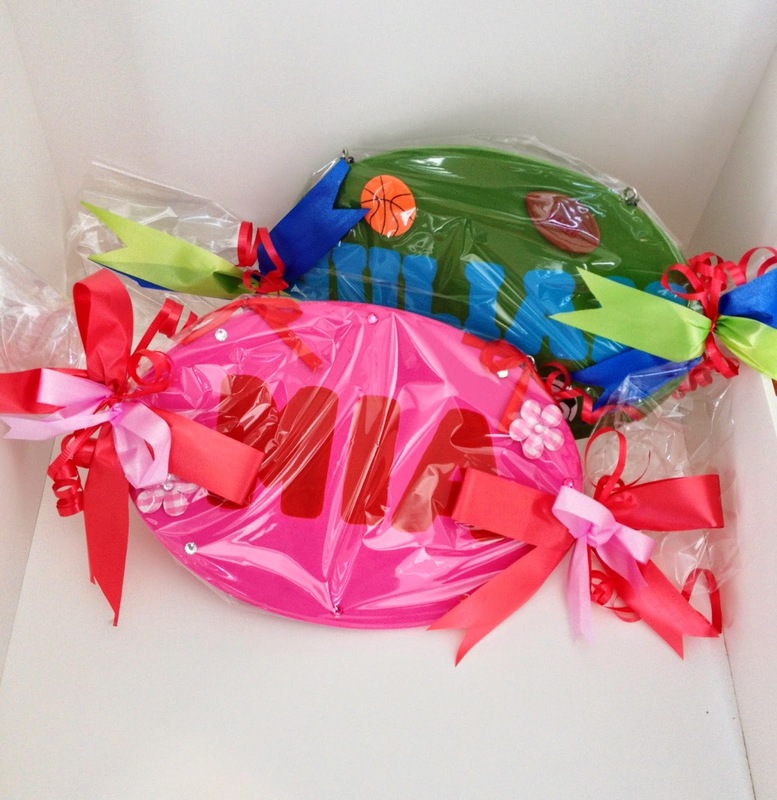 Both the Cookies and the chocolate came from local companies. After all the food, treats and delicious cake, and of course all the playing it was time for loot bags! 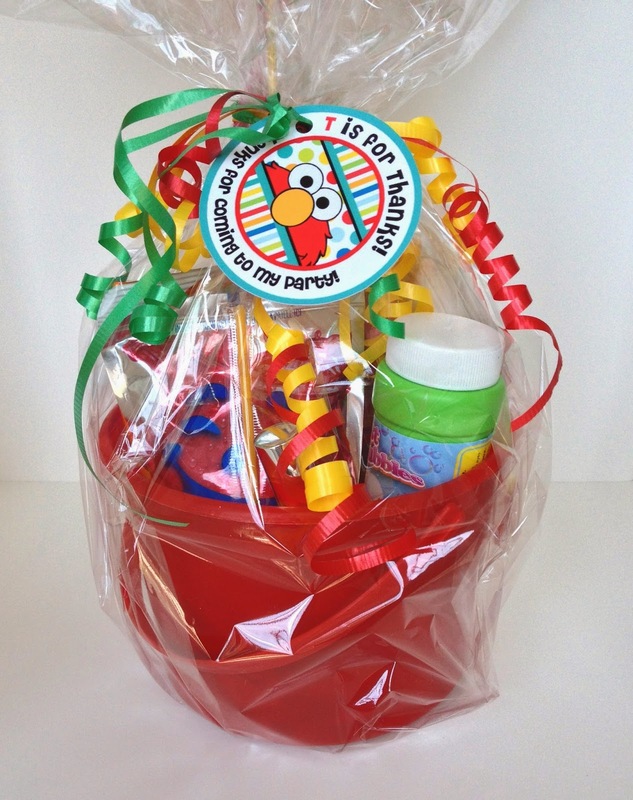 Lately there have been many debates about loot bags and if you should give them or not. But I decided too and I had two amazing gifts to giveaway to the kids. 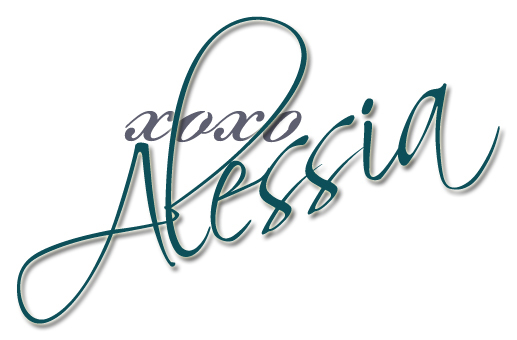 The first was provided by the Party Mamma’sEvent Planners. They made custom name plaques for each of the kids! 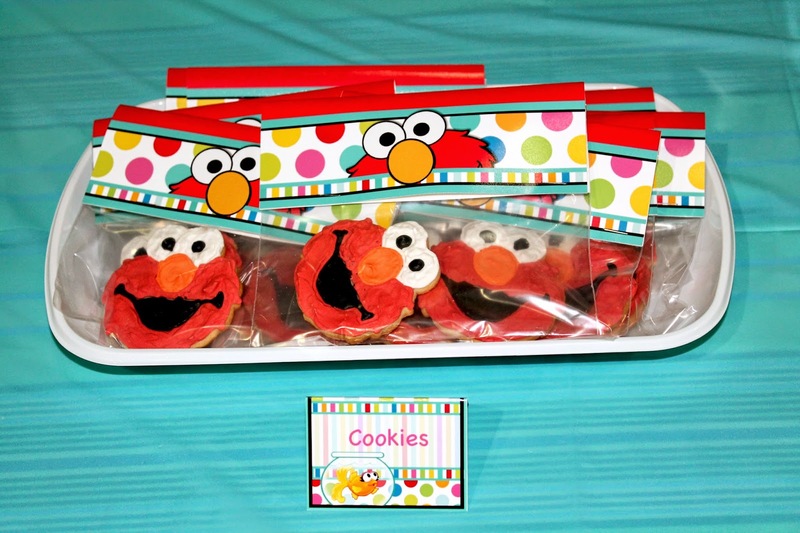 On top of the custom name plaques, Lil Chicks Spa Parties and More provided the little partygoers with custom Elmo theme loot bags. 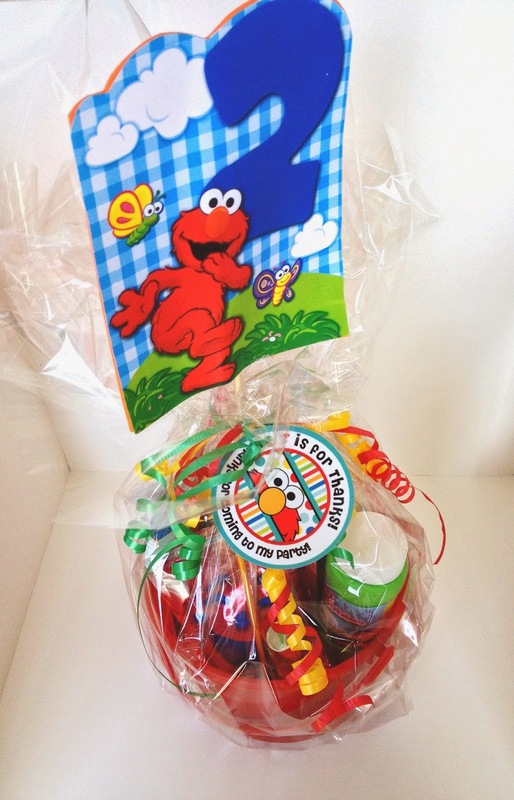 Each of the loot bags were created for different age groups. All in all the party turned out great, Mia was super excited to have all her friends and family attend and she could not get enough of playing and looking at all the Elmo goodies. Although it wasn't my ideal location in terms of decor it worked for everyone! 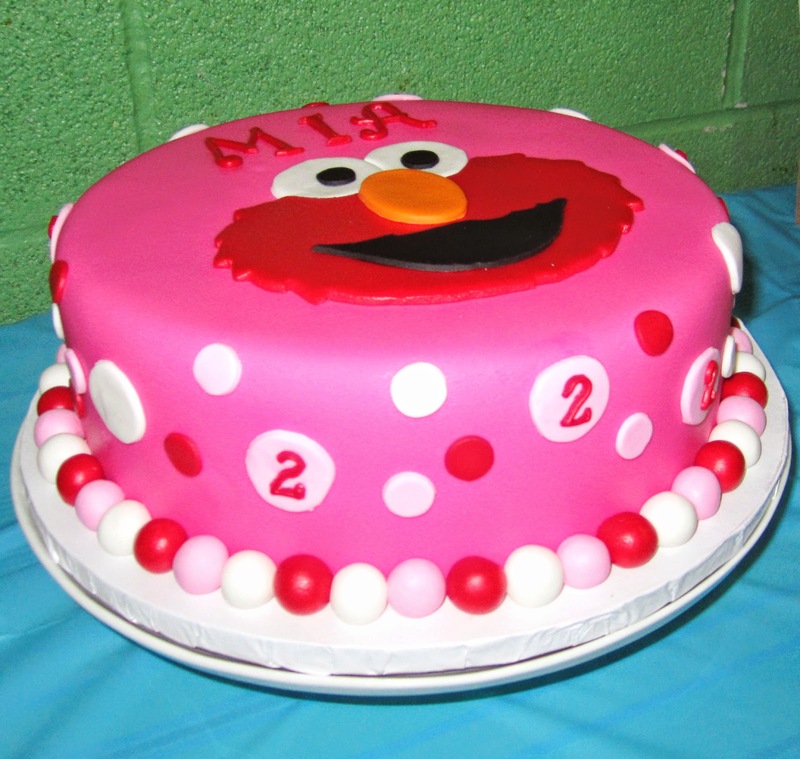 I'm currently planning an Elmo-themed party for my daughter and came across your blog. 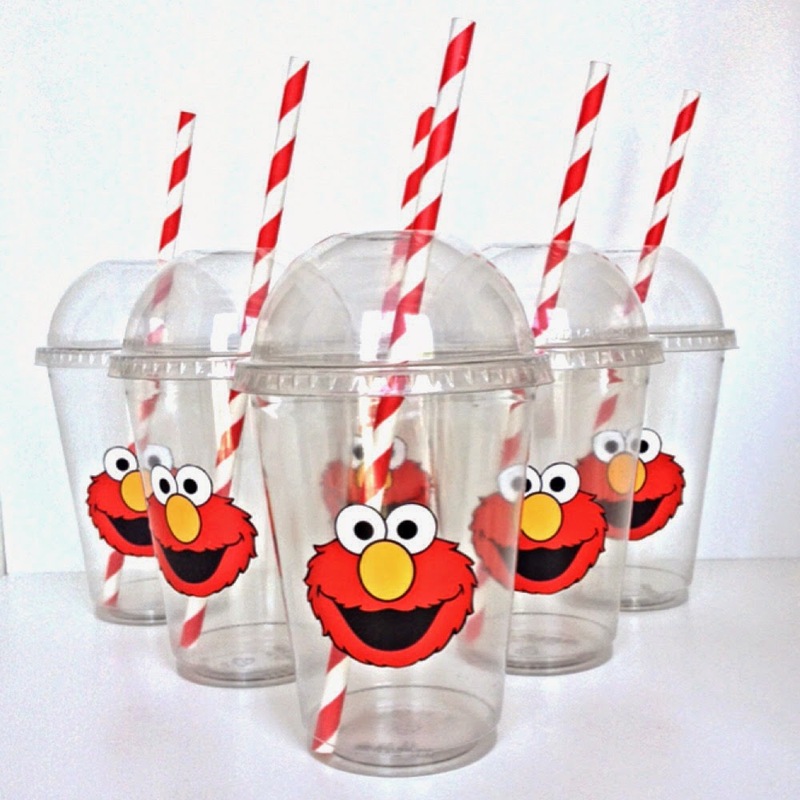 Regarding the cups with the Elmo face....you indicated you had them printed on vinyl stickers. 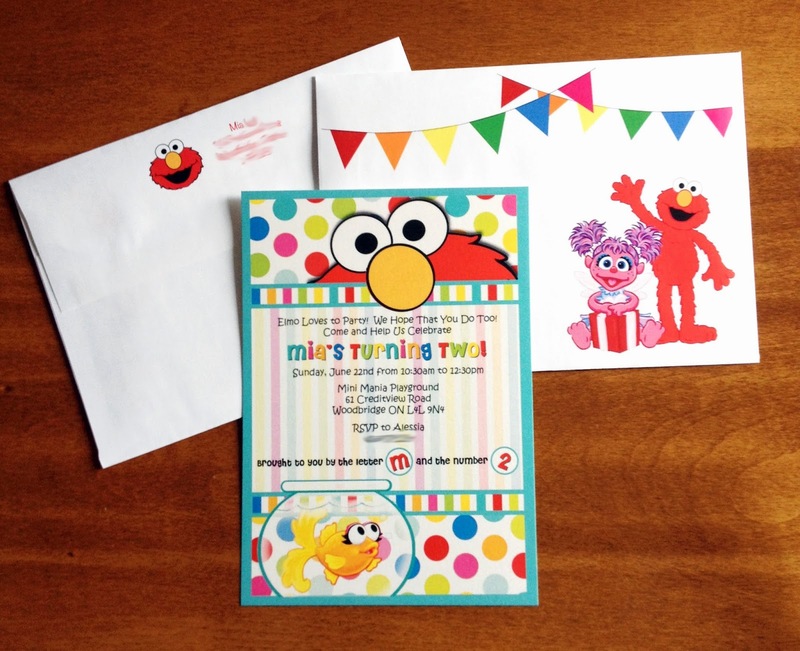 Did you have to cut around the outline of Elmo on the sticker to make it in the shape of his face? (My local office store can only print his face on a square sticker, so to make it look more finished, I'd have to use an exacto knife to trim all the excess off. Ugh. I was hoping to find a way to avoid that!) Just wondering if you had any advice. I hand cut them with scissors. They printed them on a sheet of vinyl for me. It was time consuming and my hands hurt by the end! But worth it!